The Texas Towers in the waters off New England. With 50 KW-CW, 900 MHz power amplifiers for tropospheric scatter communications, the Texas Towers were a product of the 1950s and a building block for UHF television. 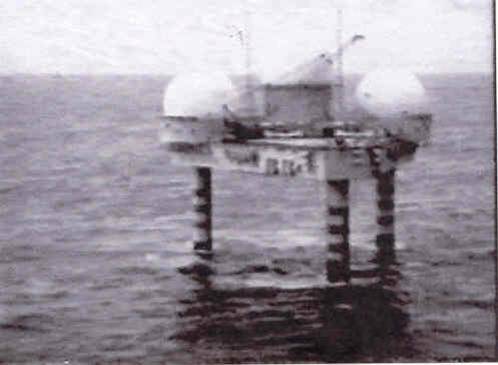 After Sputnik was launched, the Texas Towers were brought back to shore, no longer useful for the purpose for which they were intended. Credit: Photo courtesy of Doc Ewen.